That's my baby! It's wonderful, thanks Ben. That is gorgeous! Any chance for a pic of it in the scabbard? Also, I would love to see how this will be hung on a belt... Will you tie leather thong through the wire or just lace a thin belt through? Would love to see pics of it hanging from a belt too.... Congrats to you both on an excellent piece! I haven't decided how to sling it. I might sew or rivet a couple of leather straps through the wire loops. Very well done, all of it, happy to see this. Thank you for sharing. What is the last picture in Ben's post? 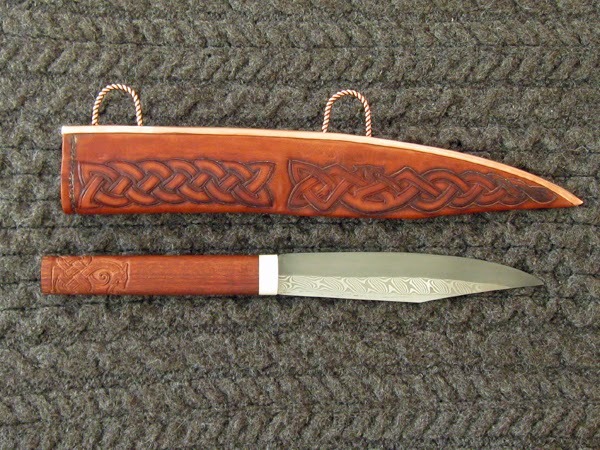 I like the long sheath. It's really nice. I think Ben Potter does a great job. Harry, you have another winner for sure! 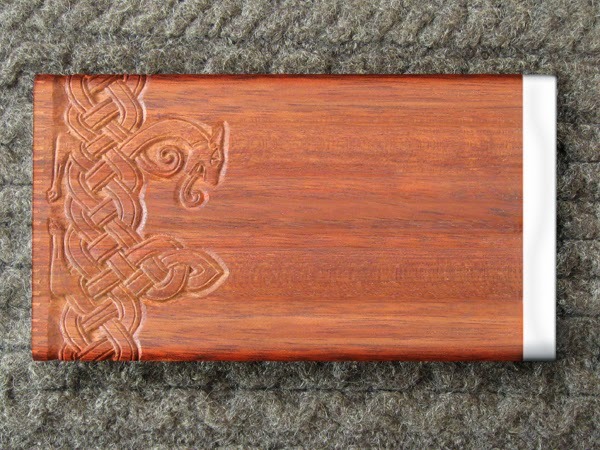 How is the copper strip held onto the seam of the scabbard? Fabulous looker. Too bad polygamy is illegal. Or is it? Too bad polygamy is illegal. I keep trying to convince my wife that polygamy is okay, but she keeps saying, "I don't share my toys." 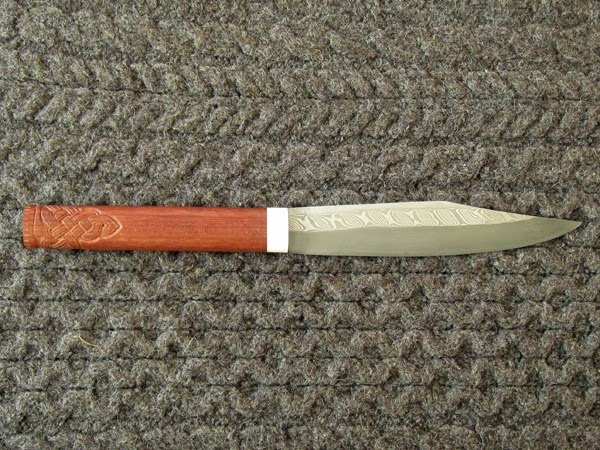 In regards to my new seax, I say, "I don't share my toys.!" 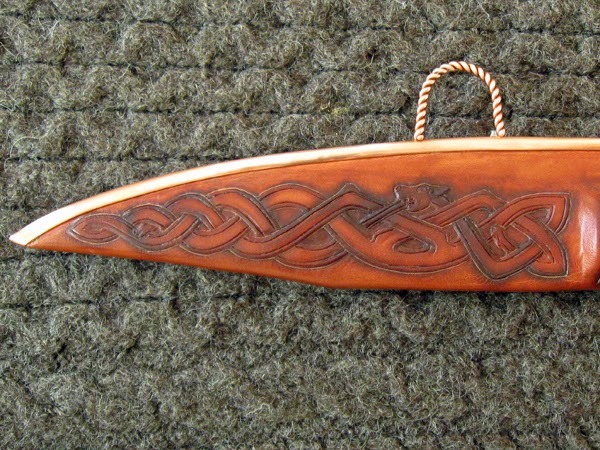 In a nutshell the copper is crimped into a groove along the edge of the scabbard. The grove is cut into the INSIDE (flesh) of the edges so that the full strength of the grain is preserved. 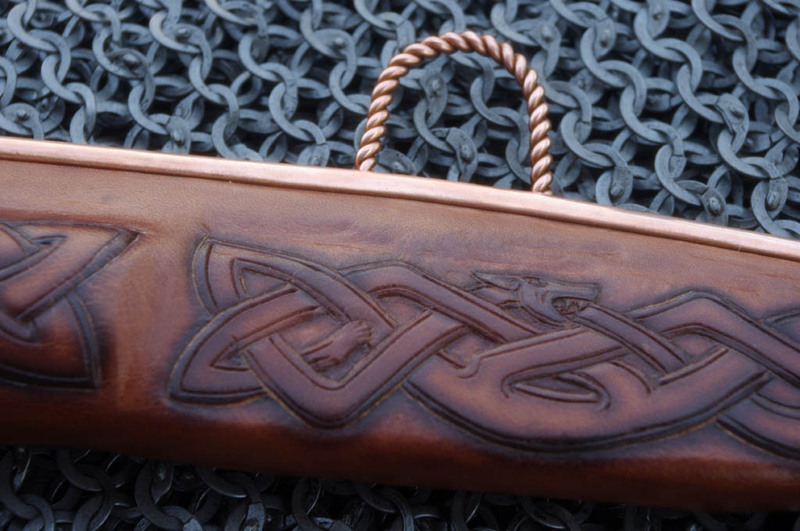 The copper is formed so that there is a barb (sharp, but not cutting sharp) that bites into the leather and makes it almost impossible to get it apart once it is fully crimped. It took quite a few test pieces to figure out all the details and tricks and get a really strong edge.